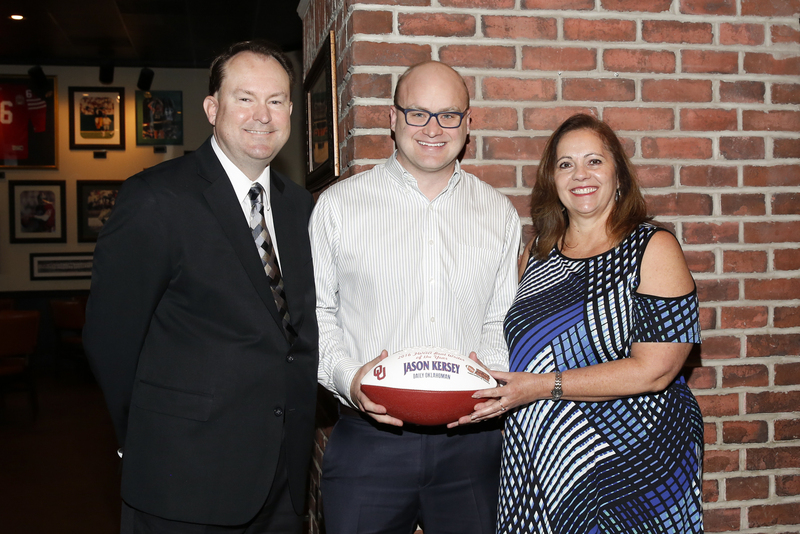 2016 FWAA President Mark Anderson (left) with Jason Kersey, winner of the Steve Ellis FWAA Beat Writer of the Year Award, and Karen Ellis, Steve’s widow. at the FWAA’s Awards Breakfast on Jan. 9, 2017, in Tampa. Photo by Melissa Macatee.